8/28/13 was the 50th anniversary of the March on Washington. More stuff from PBS NewsHour’s playlist on the commemoration, on the NewsHour’s YouTube Channel. There’s also NPR’s coverage – terrific stuff. There is also President Obama’s speech; definitely worth a listen. Some fascinating thoughts by Emil Guillermo on Asian Americans’ relevance in remembering the March on Washington, over at AALDEF’s website. Best wishes to FC and P on one month since the arrival of Baby A! For your pleasure, consider this photo below that I had taken while off the Highline and near Chelsea Market, from a couple of years ago. 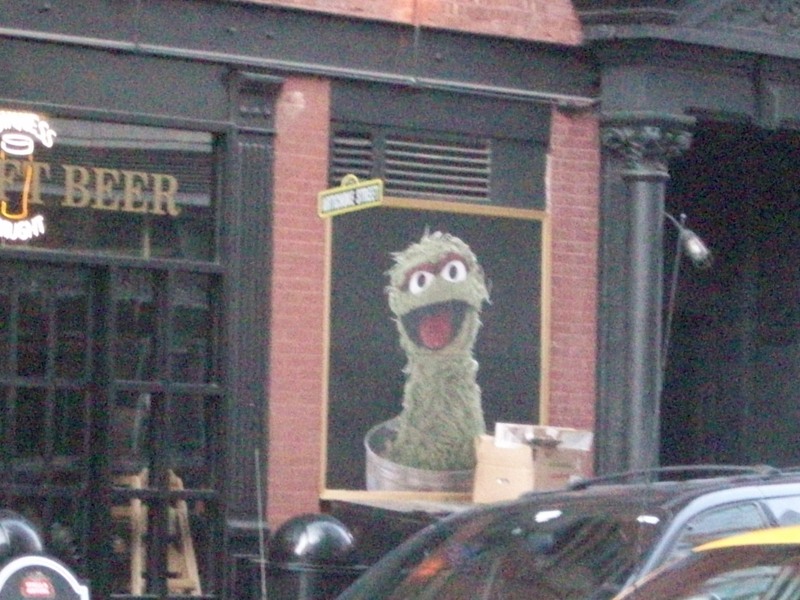 I’m not sure if Oscar is still there, but he looks strangely cheerful in this photo. 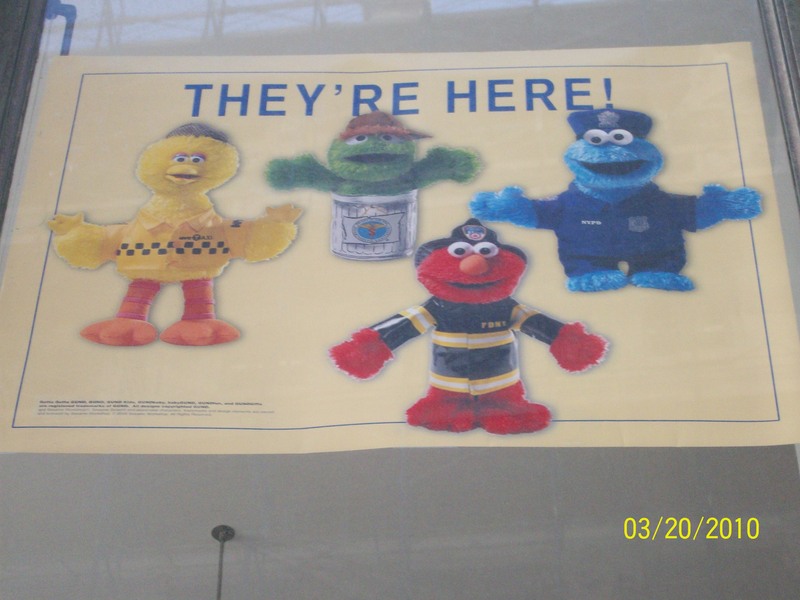 I had taken that photo of the sign on the City Store, when they were selling like hotcakes awhile back (and properly licensed for such) (I think the time stamp on the photo is right; I never quite get it correct on my digital camera). Cookie Monster Cop is cute. And funny that Big Bird is the cabbie, when Oscar was the one with a cab (and, according to his performer, Caroll Spinney, Oscar’s voice was inspired by a NYC cabbie who drove Spinney to the very day he first does Oscar). And Oscar used to be carried around by Bruno, a sanitation guy. Hmmm….